DMV.com was created to help simplify your life by providing you with all the vehicle related information and Minnesota DMV services you may need, in one place. Quickly find information and services regarding driving records, vehicle registration, drivers license renewal, license plate renewal, getting a learners permit, and finding a Minnesota Department of Motor Vehicles approved traffic school. Drivers license services in Minnesota are provided by the DPS. Learn about getting drivers license cards, drivers license renewal and more. Get your Minnesota DMV driving record the easy way. Ordering MN driving records online from the comfort of home saves you a wait at the DMV. Visit our Minnesota online auto insurance center to find low cost car insurance. Minimum car insurance coverage is required by the DPS. Completing a Minnesota defensive driving course can allow motorists to dismiss a ticket or get insurance discounts. Enroll in MN traffic school classes today. Take an MN DMV practice test before you register for the license test. Completing a DMV practice exam improves your chances of passing. Auto registration in MN is required by the DPS. Get Minnesota car registration information to help you renew car registration documents and more. Minnesota drivers education is required for some new license applicants. Discover drivers ed benefits and learn more about DPS requirements. An MN DMV bill of sale is an important document that records a vehicle sale. Find out how to get a car bill of sale from the DMV. MN traffic fines must be paid or contested to avoid DMV penalties. Learn how to fight speeding tickets and how to pay a ticket online in MN. DWI consequences in Minnesota include jail time and license suspension. Learn more about MN DWI laws enforced by the DPS. Buying a car online can simplify your DPS new registration process. Before you buy a car in Minnesota, consult our helpful resources. Some Minnesota DMV services require you to visit a DMV office. 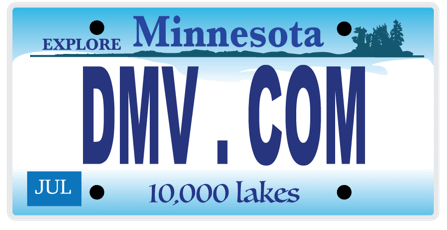 Find MN DMV contact information and convenient DMV locations near you. Cut out DDVS’s bureaucracy. DMV.com has easy guides for drivers license, vehicle registration, license plate, emissions and other motor vehicle issues online. The DMV.com exists to help people deal with all those time consuming issues, like getting your driver’s licenses, obtaining vehicle registration, providing auto insurance quotes and much more. We are privately owned website and we are not affiliated with any government agency. Our sole purpose is to ease and make the whole process as quick as possible. Waiting in lines at the office can be very stressful, and that’s why we designed this guide. Regardless of the type of vehicle you are operating, the Minnesota DMV has different requirements for all of them. But have no worries, we have everything covered. You won’t have any problems when it comes to using this site, as the approach is very simple and quick. To find your desired topic use the online resources below or the search bar at the top of the page, and you will be amazed how much time that can save. We would also appreciate it very much if our users can contribute to the website as well. Feel free to comment our pages, give us feedback, become our Facebook fan and share your thoughts on the automotive businesses.